When you want a tool that is simple to operate when you need to cut plants and other materials away, the 120EU Secateurs could be just what you’re looking for. The secateurs, which open when squeezed, provides an easy way to cut through a variety of materials, making it crucial kit to add to your tool selection. With a strong snapping motion, you don’t have to worry about applying force or pressure to cut through even thick branches up to 22mm in diameter, the 120EU blades will do the work for you. 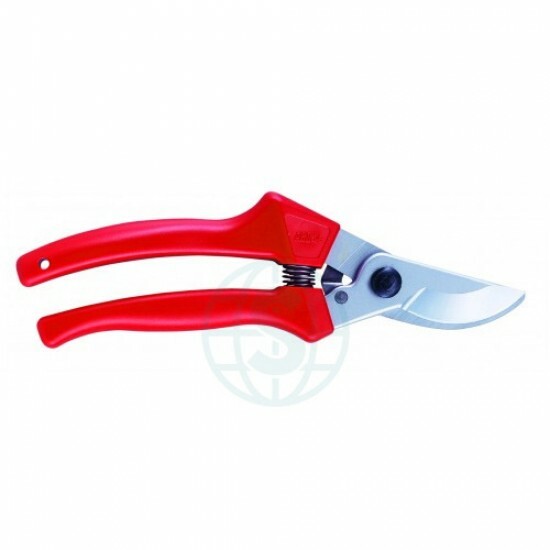 The 120EU is longer than standard secateurs, measuring 120mm in overall length but this option still weighs a relatively lightweight 225g, improving your comfort when they’re in use. As with all our products, quality is key. The 120EU blade is made from exceptionally high quality materials, blending hard chrome plating with high carbon steel, for a product that is durable, tough, and reliable.